Synopsis: The Gift of the Magi is a sentimental romantic movie that will steal your heart at Christmas! 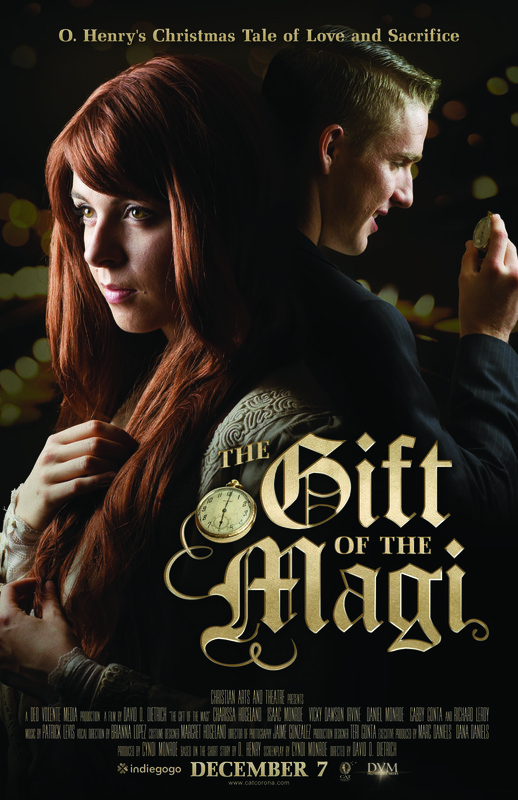 Based on the classic O. Henry short story, The Gift of the Magi weaves a beautiful story of love and sacrifice. Della (Charissa Hogeland) is the young bride who desperately wants to give her beloved husband Jim (Isaac Monroe) a Christmas gift that is worthy of her love for him. The dilemma of whether she can sacrifice her one treasure for love brings this film a startling climax. Gift of the Magi was funded through Indiegogo.com, a crowd-funding platform, and produced by Christian Arts and Theatre, a non-profit arts education program. This charming, perfectly paced 30 minute film is a "gift" you will treasure for years to come.